With Ferrari announcing an extension of Felipe Massa's contract to 2010, all the rumors of an Alonso move to the red team have gone silent. GrandPrix dot com have not completely given up hope but they do admit that a lot of money will have to change hands before Massa can be moved from his seat now. Personally, I never thought there was much chance of Alonso going to Ferrari anyway. But there is more to the announcement than meets the eye, however. If the rumor mill is correct that a power struggle behind the scenes continues between Jean Todt and Luca di Montezemolo, the fact that Massa is being retained is an indication that Todt has won the latest round, at least. It was said that Montezemolo wanted Alonso and Todt wanted to keep Massa; rumor even had Todt, Massa and Nicholas Todt, Massa's manager, departing for Toyota if Alonso were employed. Perhaps more interesting than all this, however, is what it means for Ross Brawn. If Todt is winning the battle to remain as team boss at Ferrari, there is no room for Brawn, who has said that he will only return if given that role. Significantly, there is absolutely no news on the progress of Brawn's talks with Ferrari and this could be the reason. If Todt gets his way, Ross is applying for a job that is already taken. Not that Brawn will be short of job offers; Honda would love to have him and many other teams would line up for his services, I'm sure. McLaren will be a bit short on the personnel side now that Mike Coughlan has effectively excluded himself from the team and, with a bit of shuffling about, room could be found for Ross. It comes at a time when Ron Dennis will be looking for a break from his responsibilities after a year of the most severe stress and pressure; I can see him taking a back seat and letting Ross run the team while Martin Whitmarsh handles company matters. One thing is for sure - if that ever happens, don't expect Ross to sit back and take any of Mosley's nonsense lying down! But to return to Ferrari: if Todt remains at the helm of the racing team, it will be a matter of no change is all change. The new appointments will settle in and the Ferrari for the next several years will emerge. We have seen already this year how personnel changes have affected the car's reliability and without Ross Brawn in charge, that will only get worse. Much is said of Jean Todt's importance to the triumvirate that gave Ferrari its success in the Schumacher years but I, for one, am unconvinced. The winning machine that the Ferrari team became was the result of a talented group that has been broken up. Michael himself was probably the most important part of that group but Brawn, Rory Byrne and (dare I say it?) even Nigel Stepney were essential ingredients too. Todt was merely lucky in that it all happened on his watch and we are seeing now that he was not nearly as essential as we had imagined. The one person that I feel sorry for in all this is Kimi Raikkonen. Having broken with the team that nurtured his talent and allowed him to show his capabilities, he has joined what should have been his passport to the world championship. But the edifice crumbles already and the likelihood is that, if Kimi does not manage the almost impossible by becoming champion in Brazil this coming weekend, he will not get another shot at it for many a year. It seems a cruel fate that the one driver without a political nerve in his body should be undermined and betrayed by politics in the end. What year is this? 1992? Back it seems to the days when bickering and bitching about personnel as modus operandi at Maranello.I thought they were too good to go back to that after the Schumacher days. It seems to me that all the people who created the unbeatable team of the Schumacher days have gone, Francois. And, when that happens, it should be no surprise if Ferrari revert to type. Unfortunately, Kimi and Felipe can't rely on the car remaining good either - internal political strife invariably affects the performance of the cars as well. This also means, either Fernando is staying put at Mclaren or Flavio has got his golden boy back home. Although i wish its the former, its more likely the latter. Yes, I agree, Uppili, almost certainly Alonso is heading back to Renault. It's really the only possibility that makes sense for all concerned. As for Ross, i am afraid i don't agree with your prediction that he will be at Mclaren. Their plate is full right now and Martin Whitmarsh cant wait anymore to push Ronster into retirement!! I hope that one more Luca-Todt situation doesn't arise there!! Jenson will stand a much better chance if I don't predict him as champ, Uppili! I would not be so harsh on Kimi's future chances. 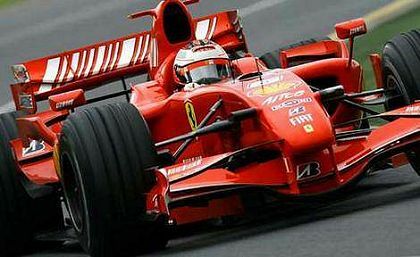 Yes, Ferrari has been unusually unreliable this this year, but they were also unusually rubbish as a package in 2005... They came back (with the help of yet another tyre rule changes) but they did come back. This year they paid for their reliability issues also because of the fact, that the points they gave away, all went McLaren's way. There was no 3rd party seriously in the picture. If the points kept going 6 ways instead of 4, the blows to their drivers point tally would a bit softer. Now, in 2008, the picture may be totally different ... I expect BMW to raise their game, say what you will about Alonso, but if he is gone, McLaren will miss his input, Renault will bounce back same as McLaren and Ferrari did in the past. I also do not expect Honda to build another blue/green monster. And with some of the driver aids gone, smooth drivers will be able to squeeze some extra from the cars. The podiums will become more colorful sights next year and with points going in several more directions the odd retirement due to reliability issues may not be is painful as this year. With all of the fighting/politics I can't see how Ferrari can stay where they are in terms of fighting for wins, surely they can only get worse. I feel sorry for Kimi also, it seems the one time he was going to get a reliable car to have a run at the championship it all went. It looks too familiar to me, Milos, and that goes back way beyond 2005. I think Ferrar will always remain capable of winning races but, if I am right and they reverting to their old ways, they can forget another championship for a long time. For Kimi's sake, I hope I'm wrong but the signs are there. i always had doubts about kimi's move to ferrari. schumacher may not have been holding the team together but he was the focal point and of his motivational capabilities i have no doubt. i admit i didn't think the signs of wear would show up as soon as they have this year...maybe because i thought brawn would still have a role. so, is ferrari going to allow themselves to decend into the days of p3 p4 p5 or, having had a good run at the top are they going to do whatever it takes? odds are about even, i think. i always sort of hoped schumacher might find he's a fair businessman and take on montezemolo's role but, not many drivers could pull that off as history demonstrates. agreed, it should be an interesting season next. see, i'm not burned out entirely, just with this year's crap. personally i'm looking forward to see what bmw comes up with. i might have to buy the t shirt. That seems to be the general feeling amongst F1 fans now, Verasaki - that we are thoroughly fed up with the nonsense of this season and can't wait for the next one to start (hopefully politics-free). It feels as though everyone has been through the mill in 2007 and our patience with the sport been taxed to the maximum.